The S.T.E.A.M. initiative represent a way in which education resources that implement effective approaches for improved learning can be provided. Innovative Segue works to provide experiences that will prioritize hands-on learning to increase engagement and achievement. It is more vital than ever to be equipped with the knowledge and skills necessary to think critically, problem-solve, clarify and disseminate information. These are the types of skills students learn by studying Science, Technology, Engineering, Art and Math. Hands-on learning about S.T.E.A.M. 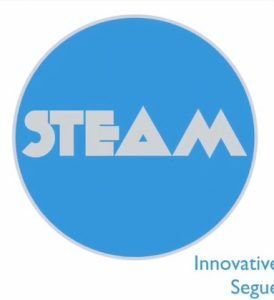 topics through our workshops, special activities, arts and crafts projects, field trips and other events that give our S.T.E.A.M. initiative life.